There are many times when the installation of Apple software and other components would attract the complete uninstallation of iTunes. 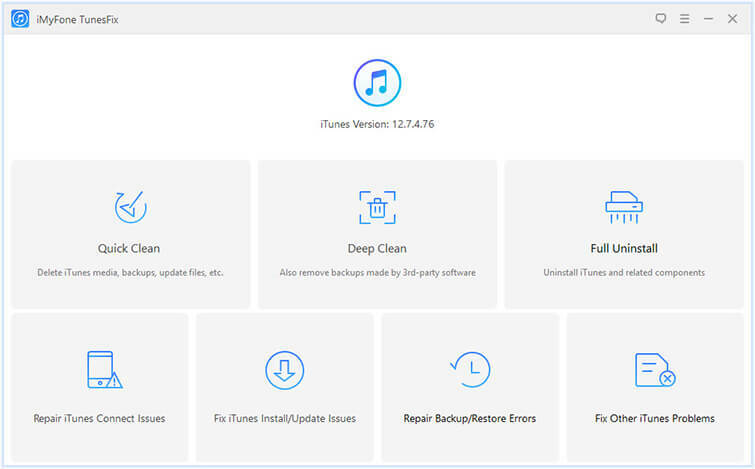 Most people are being affected by this problem and they often investigate the iTunes removal software’s for uninstallation process so that they can reinstall the iTunes correctly. iMyFone TunesFix is created with the aim of handling iTunes performance. It serves the function of working as an iTunes complete removal tool, an iTunes cleaner, and iTunes repair expert. It caters to every problem relating to iTunes. 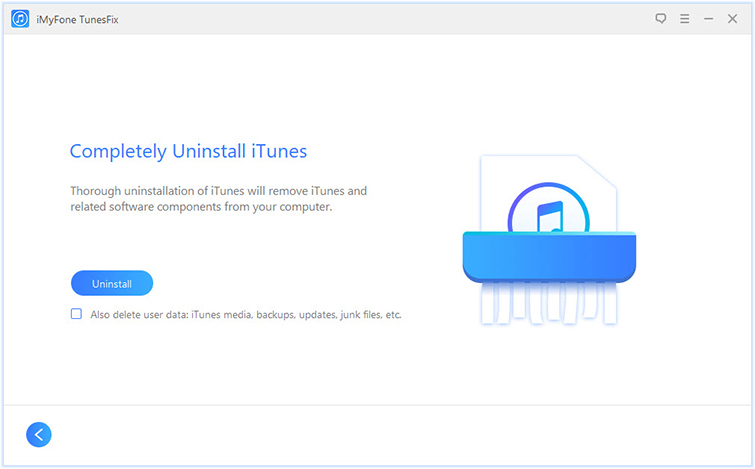 Perfectly uninstall iTunes and its related software in just one click. No harmful traces will be left to affect your PC performance after uninstalling. Give you the opportunity to protect or delete iTunes data when uninstalling. You can work on various windows version such as Windows 10/8/8.1/7/Vista/XP. Step 1: Launch the TunesFix software on your PC and ensure that it detects your iTunes. Note: If it shows your iTunes is damaged, click “Back” icon to the home interface. Step 2: Select the “Full Uninstall” mode that is displayed on the home screen. You will be directed to the uninstallation page where you will click on “Uninstall”. Note: It is important to note that, if you want to delete the user data in your iTunes, you should check “Also delete user data...” under the Uninstall button before clicking on the “Uninstall”. 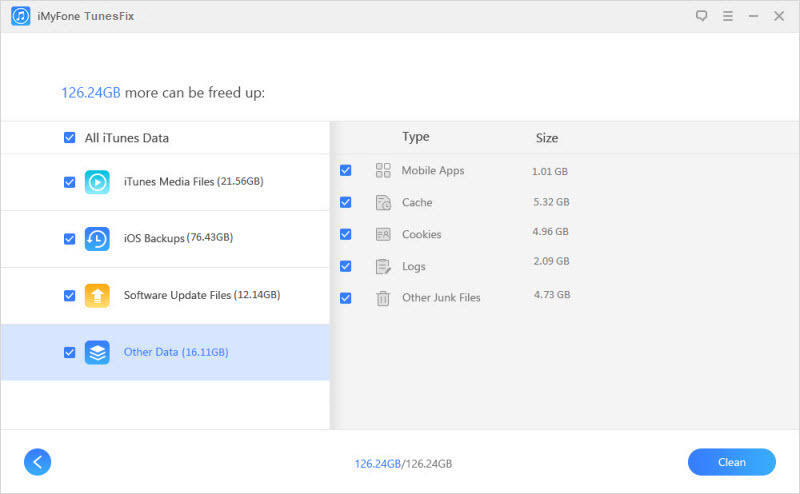 This will delete the entire iOS backups, iTunes media, iTunes useless files, and iOS or iTunes updated files. You can select the “click here” option in order to reinstall the iTunes. If you want to clean iTunes, this guide is for you. If you want to repair iTunes, this guide is for you. Automatically detects your iTunes and show you the details of the issues. It repairs any kinds of iTunes issues with hassle, like iTunes install, update, connect, restore, backup, running slow, and other problems. Only one click is enough to repair and no data will be lost. Clear useless/damaged files from iTunes to boost iTunes and PC performance: cache, cookies, logs, corrupted files, temporary downloads, junk files, used iTunes/iOS software updates, etc. Considering the test that we carried out, TunesFix offers reliable and speedy options for iTunes via several mouse clicks. It is a necessary software to have. It has an engaging user interface and easy to navigate. 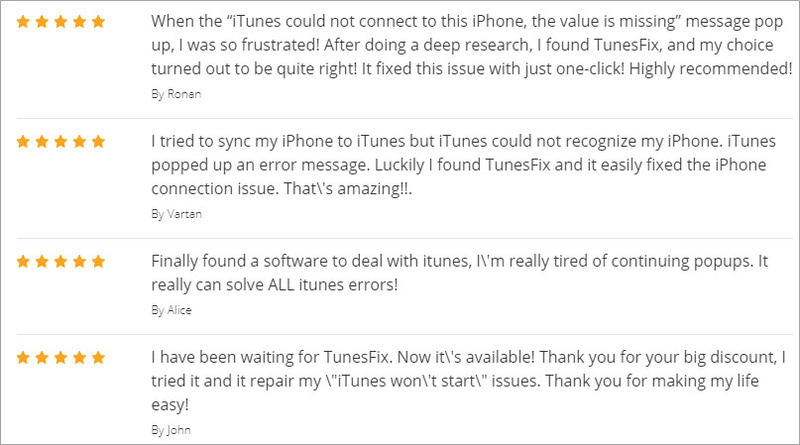 When we opened TunesFix it tried to detect my iTunes. In less than 7 seconds, it finished and showed me my iTunes is damaged. It displayed that some .dll files were missing. we clicked “Repair” and it started to install the repair driver for my iTunes. It took about 1 minute to finish. What’s more, TunesFix scanned me 5 hidden iPhone backups which we never noticed before. It ate me huge space. Also, just cleaning cache, cookies, logs, and other junk released about 16.11GB space. Amazing!